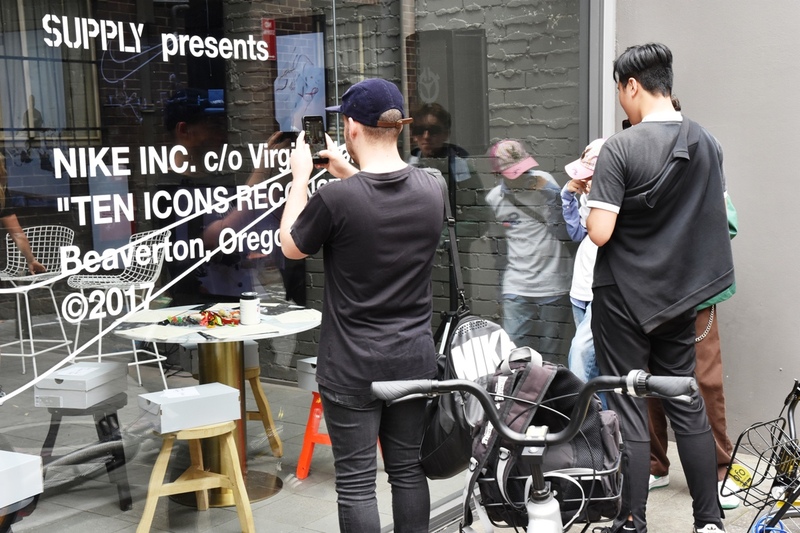 As part of its Ten Icons Reconstructed collaboration with Virgil Abloh, Nike together with Supply Store opened an Off Campus pop-up in Darlinghurst to introduce Australian sneaker lovers to their latest silhouettes. 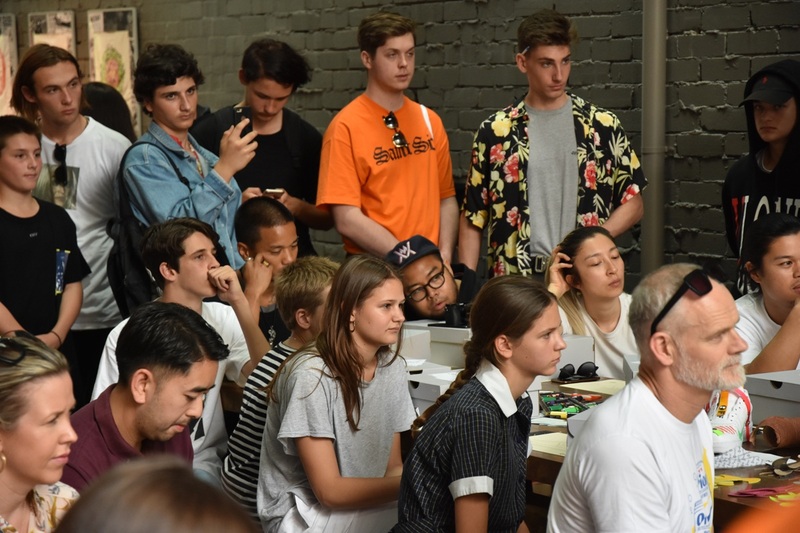 Nike described Sydney’s Darlinghurst Off Campus location as “a cultural destination and learning environment for the advancement of sport, design and innovation”. 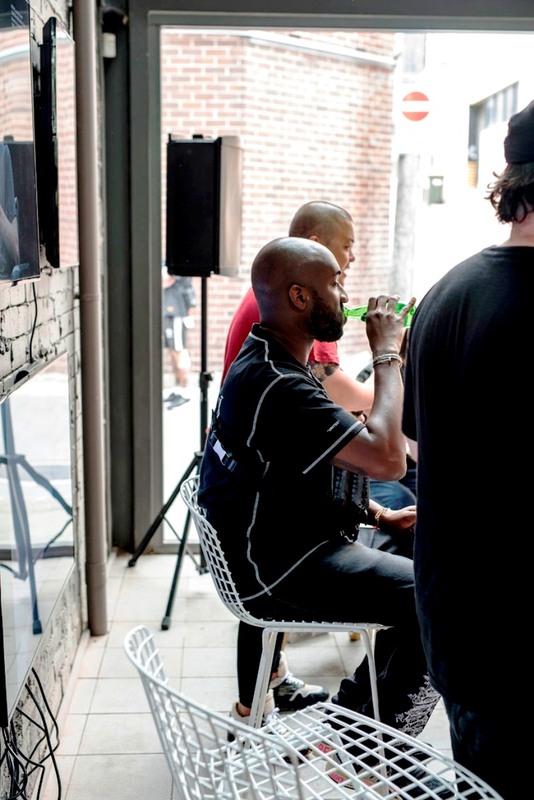 Virgil Abloh has a resume longer than the queues of people who wait to see him, his new collections in Paris and his plethora of collaborations. 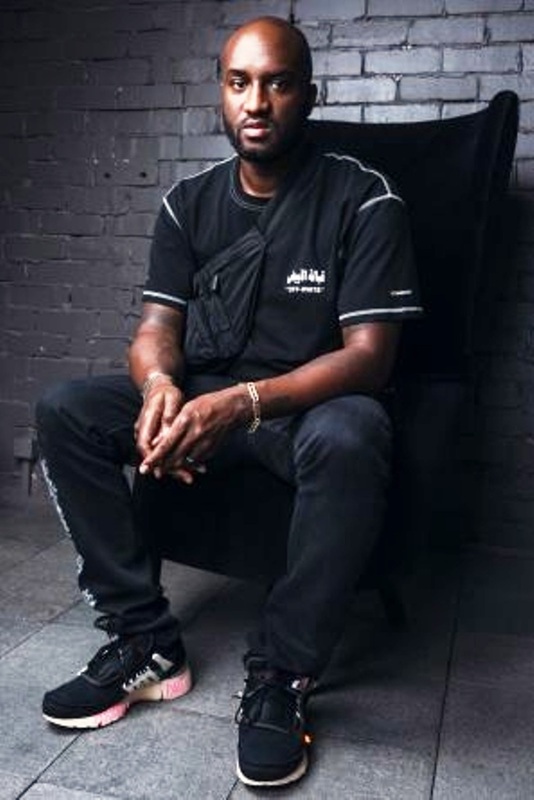 After graduating university with a degree in civil engineering and a masters in architecture, he began working with Kanye West in the early 2000s as the rapper’s creative consultant where he continues to oversee merchandise design, album covers and tour sets; he then accompanied West to Fendi in 2009 where they both undertook a internship. 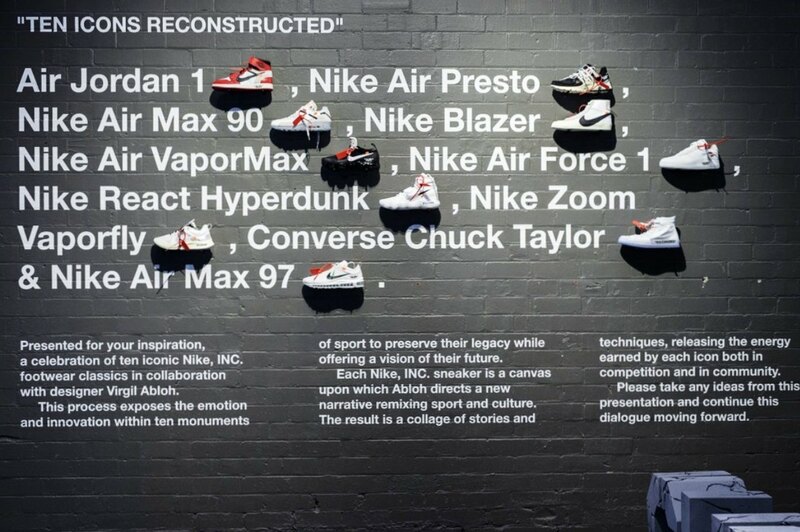 Serving as more than a mere hype-stoking exercise, the ultimate goal of his partnership with Nike was to flip convention on its head by re-contextualising 10 (or nine to be more accurate!) 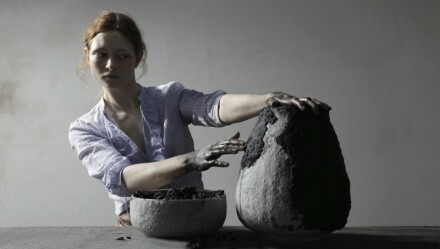 key Nike models and by doing so, illuminate the artistic process. 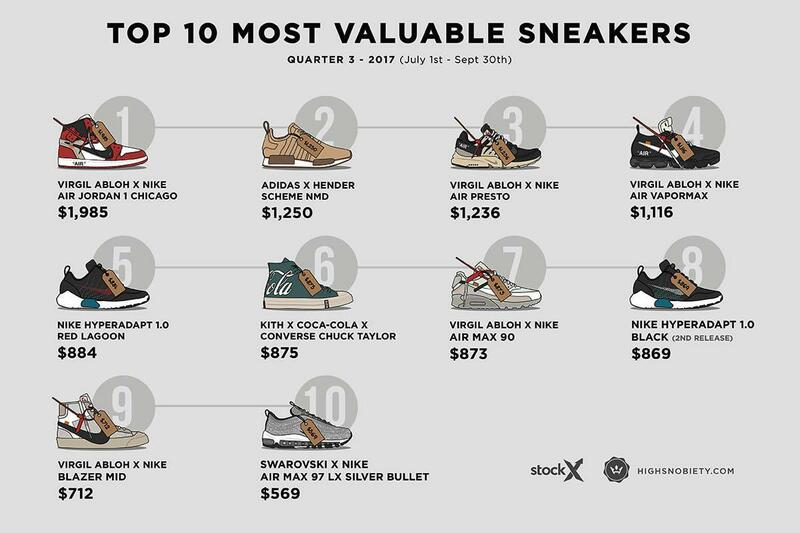 Virgil didn’t set out to make iconic shoes, but rather allow people to see what year these shoes are from, how they place in the overall history of the brand. 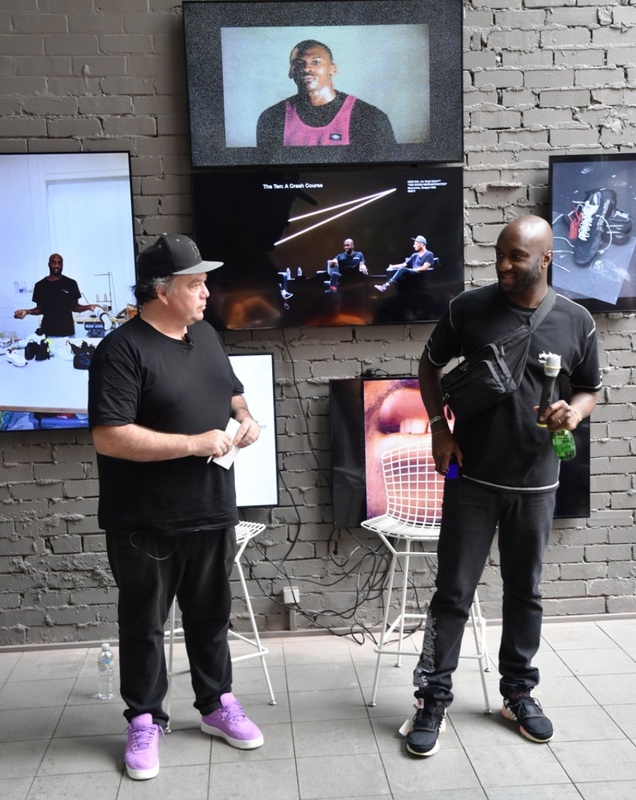 Conceptually, Virgil wanted to uncover all of the layers of each shoe down to their technology. From that idea, the cohesion of The Ten Icons collection was born. 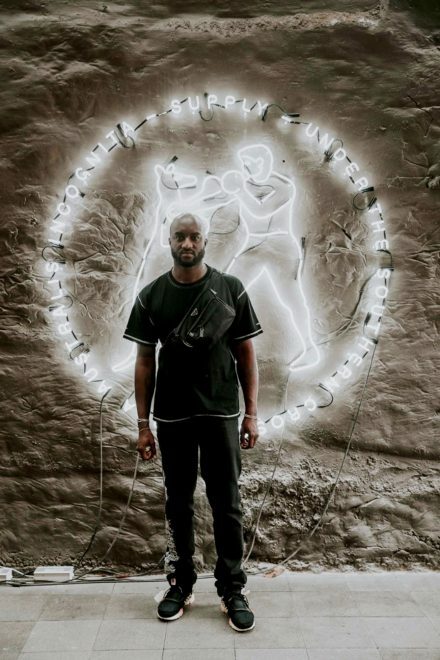 Virgil has ultimately taken staples within Nike’s armory and treated each as a blank canvas, a design playground on which he has free roam. Each silhouette has been radicalised to fit the aesthetic Virgil has nurtured over the past few years, using quotations to highlight the obvious — such as “AIR”, where unseen units sit within the shoe — as bold design statements. The Ten has allowed for a rare level of creative freedom within a collaboration, especially given the iconic status of some of the models reinterpreted within the collection. 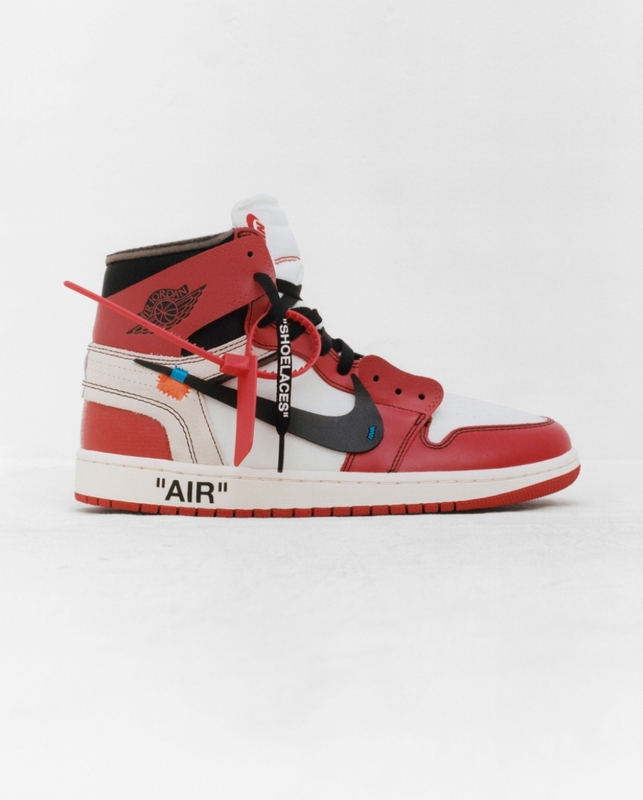 The Jordan 1 has largely remained untouched throughout its history, with collaborative efforts often focusing on alternative colourways or additional branding. Virgil’s approach is one far more radical than one we are used to with Nike; each shoe has a stripped-down textile aesthetic that uses materials and layering to build on the bare bones provided by the sportswear giant. 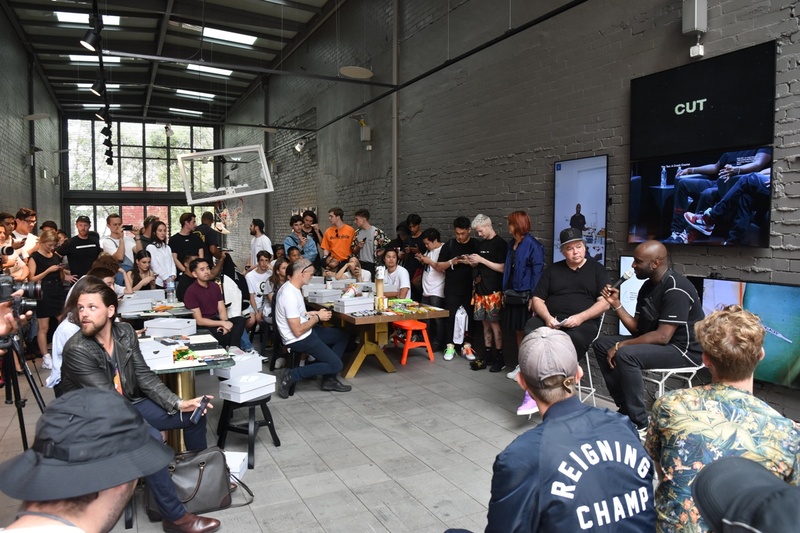 As the project rolled out, the Off-White founder has been hosting ‘Off Campus’ workshops around the globe where he engages with sneaker heads more accustomed to a dead stock mindset than DIY creativity. The message? …… Care less about the result and more about the process. 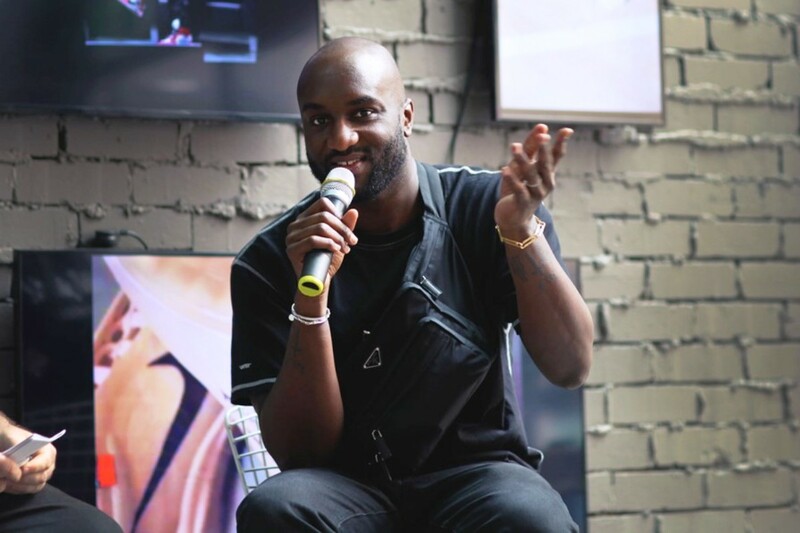 With Virgil Abloh touching down in Sydney to host an event in partnership with Supply and BespokeIND, Simon Wood ( aka Woody ) from Sneaker Freaker sat down with the most influential figure in street wear right now for this “exclusive” interview. 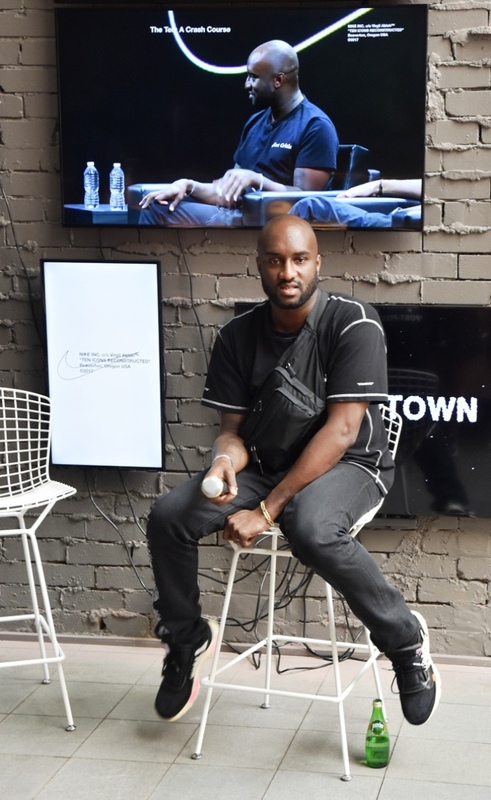 Virgil spoke with absolute conviction during conversations about art, creativity and the future of fashion- giving an insight into his fast moving mind, unique perspective and passion for design. 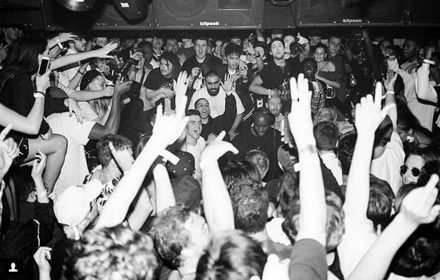 Woody : What’s it like being Virgil Abloh at the moment? How do you deal with the wealth of opportunities while making sure you still get the work done? Virgil : It’s not work for starters. It’s a creative life. I enjoy the pace. I enjoy the opportunity to make things, to think about things. As soon as I get on a plane I write emails. It’s my trade, you know? In a way I’m still the 17-year-old kid that thinks that Nike will never call. Even though it’s happening, it doesn’t seem real. 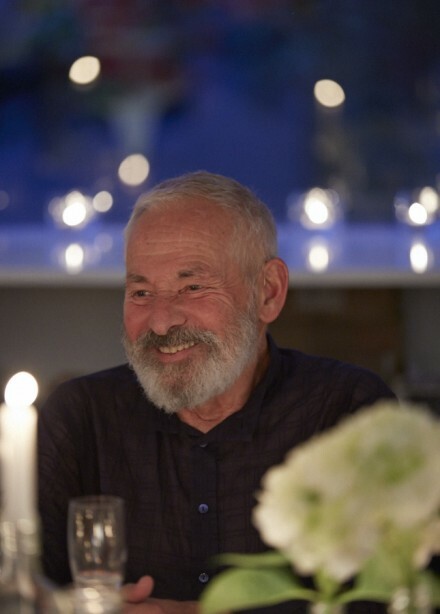 I’m still bright-eyed and into it. There’s things I want to do that I don’t get to do. That’s what I focus on. Is there a creative downside to suddenly becoming famous and recognised? In my mind I’m not famous so there’s no downside as of yet. I’m enjoying the work. 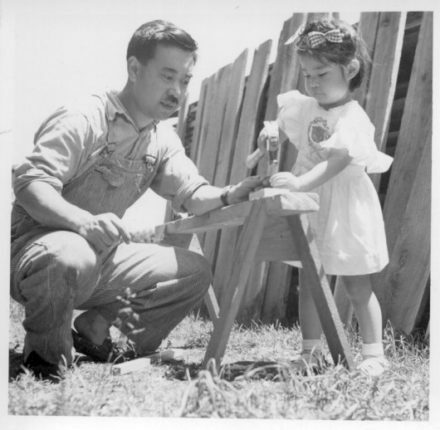 When I started, I made a decision to try to do everything at the highest level. I don’t want to be put in a box and limited to feeling like I can’t do things that are on the mass level. Have you become more ambitious as you’ve become more successful? I use the means that I have to do what I can. How confident were you that ‘The Ten’ would be a success? I wasn’t. Like with anything that I do, I try to satisfy myself first. The reaction just doesn’t fulfil me at all. I don’t read anything about anything that I create. I just hope people like what I do. 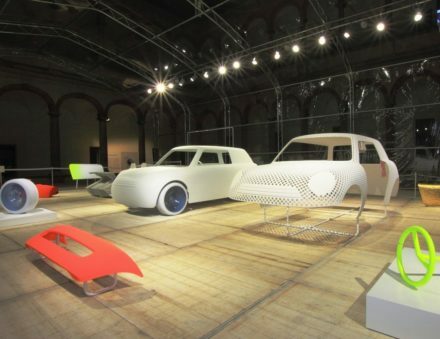 The design part is more like an insular conversation with myself. So no checking eBay to see what everything’s selling for? Nah. I just feel like if it’s good, it works. But I do like that there’s a metric where you can see if a design passed a certain threshold or not. But you don’t need to look it up. You can just tell. Do you ever worry about who is buying your product? No. I don’t know what there would be to worry about. I just like that kids are wearing it. I’m much more interested in designing something that isn’t just for sneaker heads. We’re in a postmodern era, so it’s all about the next evolution. Kanye was famous for saying he wanted his shoes to be super accessible. 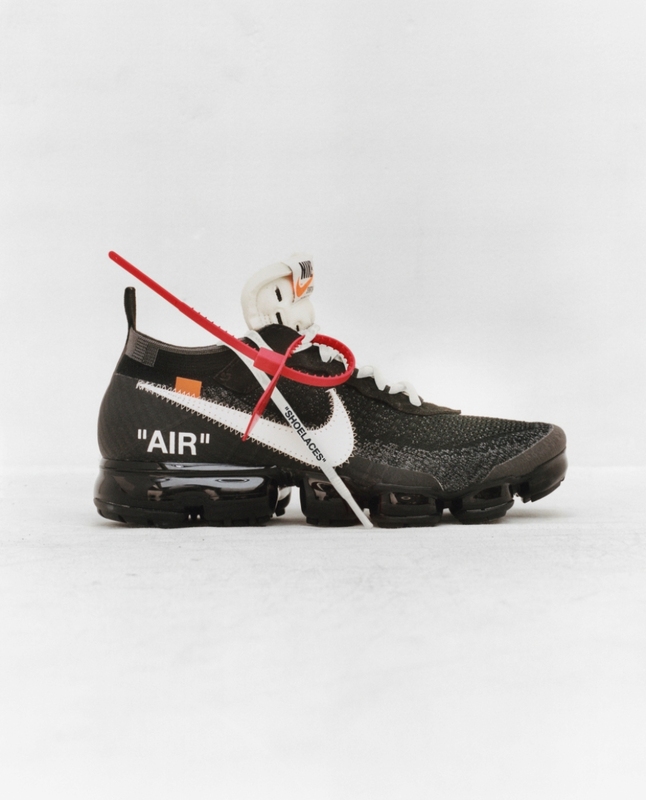 How do you think about not just the Off-White stuff that you’ve done, but also this Nike colab? I’m very into designer stuff – by which I mean product that is meant to inspire the next generation of commercial product. That’s what I think the role of a designer should be – we’re supposed to be the hyper consumer doing something slightly disruptive. I don’t care if my aesthetic creeps into Foot Locker. It’s my job to come up with the next idea after that. 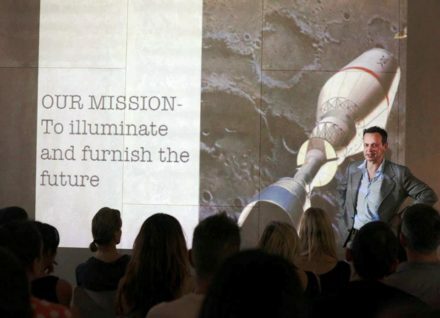 I want to be in the space that incubates new design ideas, and then that can just trickle down into the marketplace. That’s my approach. It’s like the concept car in an auto show. It actually doesn’t work as a car, but it looks like it could and it serves needs that aren’t practical. I’d like to see that mentality in all different disciplines, and sneakers is one where I can particularly exercise that train of thought. ComplexCon provoked a lot of discussion online. A lot of industry people are questioning the obsession with rampant profiteering in regards to the long-term health of sneaker culture. You were part of the first two events. What’s your impression? It’s not even a culture. It’s simply a metric to show how un-inventive the commerce side of this business is. Right now I think we’re stuck in the ways of the first generation of street wear that is based on exclusivity. That doesn’t matter anymore. Any kid that wants it doesn’t care if a million people have it – they still want it. It would be a rare case scenario in the history of retail product, where you had say, a demographic of 1000 people that want to buy something and the company only makes ten. I’m shocked by that approach. I’m on the creative side, but if I was on the business side, I would make sure that everyone that walks into ComplexCon would be able to buy whatever they want. Once brands figure that out, all of a sudden their business is going to grow. But there’s an inherent tension there between supply and demand. When you’re a kid, you want to be like everybody else, but you still want to be regarded as an individual. But if everyone has the same stuff, it’s definitely not cool anymore. I’m not a fan of people waiting in line and not getting product. I am generally disinterested in sneaker culture. Disinterested by the fact that when a cool sneaker comes out, I have no idea how to get it. I don’t have the time to figure it out. What I would do is just pay market price if I really wanted it. I just don’t know who to go to! Surely your PA calls up whoever for a plug? The scene has transcended the sneaker itself. Even if I had the sort of rare one-of-whatever ‘friends and family’ pair, it’s at a level of hyper, hyper insider minutiae. When I fell in love with sneakers, it was all about Jordans and Terra Humara and Air Max 90s that were sold at Finish Line. They weren’t exclusive, they were just cool for the time. No one’s really wearing them and there’s a new pair every two seconds. The cool stuff is never on a shelf anymore, which is weird. I miss the old days of course, but if I tell youngins it was way better 10 or 15 years ago, what’s the point? Makes me feel old and they rightly don’t care. They’re still excited. They’re going to grow up with the knowledge that sneaker culture was at its prime right now. It’s like hip hop and skateboarding. If you skated you were a detriment to society – now it’s all over McDonald’s commercials. I’m always reluctant to be anti-evolution. Everything that predated it has always gone through this thing – I think the internet just made it hyper. True. I just wonder how much bigger sneaker culture can get and still retain its cool factor. An epiphany came through when I was talking to you earlier. I figured out the weak link. It’s only input. As it gets bigger, I think that the core, the engine driver of the people pouring new ideas into it has stayed the same, while the industry just got bigger. 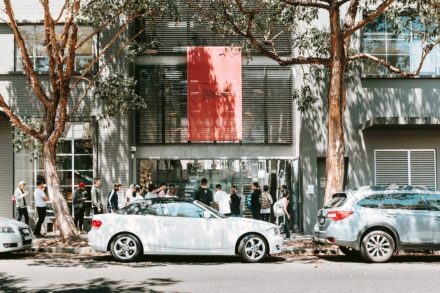 There are more shoes trying to fill the bigger demand, but there’s not that same multiplier of cool creativity that comes from the likes of Supreme, Palace, Stash and Futura. Literally, there’s like five people that are in their own space that have something to offer this multiplicity. It went from 100 to 10,000 to 100,000. For sure. I’m still not sure that bigger is better. It’s not, it’s just going to be the new mainstream. And when any small idea turns into mainstream, that to me is awesome. 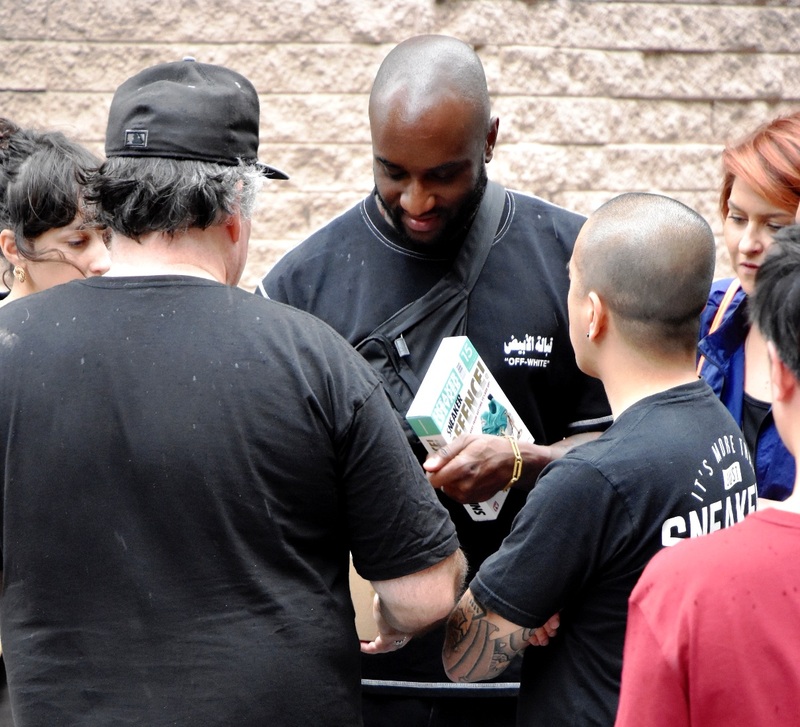 He was the kid buying them resale and he’ll be the cop that pulls you over in 30 years. And I think that’s cool. It’s like, you grew up in the 2017s! 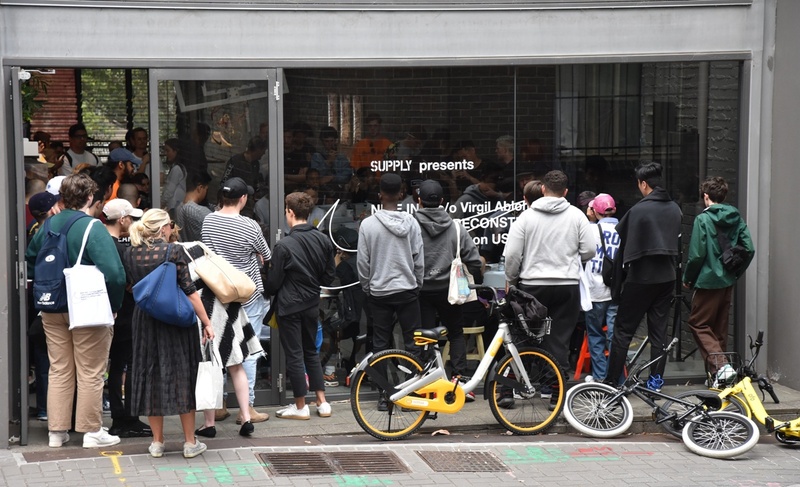 ” Thank you Bespoke IND and SNEAKER FREAKER MAGAZINE for the awesome efforts in yesterday’s event at Supply Store for the Nike inc c/o Virgil Abloh “TOP ICONS RECONSTRUCTED”. 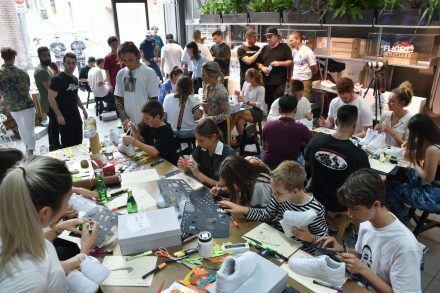 Overall the event was amazing and allowed industry heads at the top level to experience first hand a small part of the design, creation and process of sneaker making and customisation. ” It’s easier to not consider it a collaboration, and just to focus on the design… I don’t have a favourite Nike “Top Ten” shoe, I liked them all. 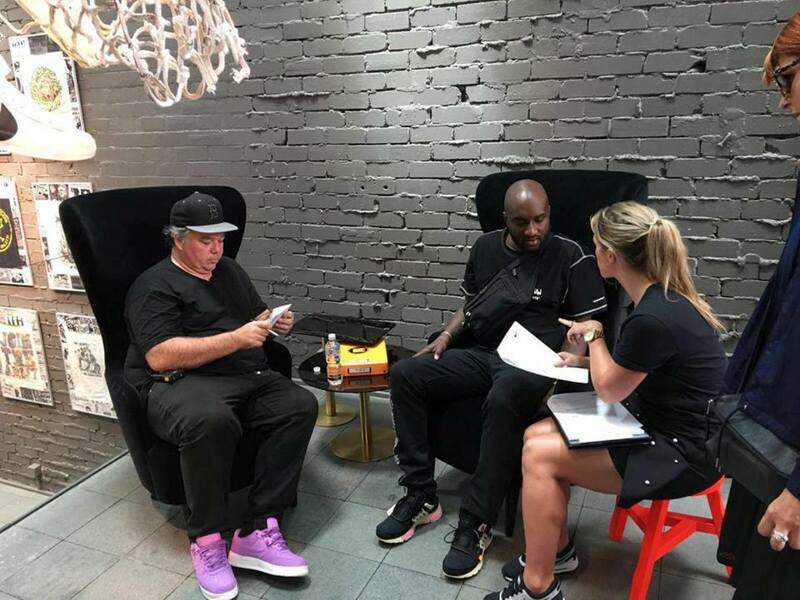 After the interview was completed Woody presented Virgil with a new limited edition product that he is about to drop to celebrate his 15th year anniversary of being in business with Sneaker Freaker. The name is a clue “Sneaker Deffence” look out for it soon !!! And then it was time to go !! 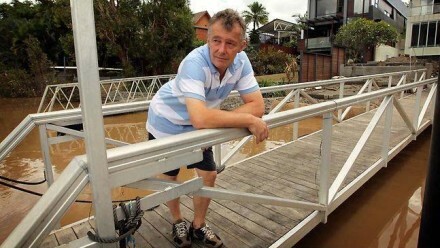 “Simon ‘Woody’ Wood practically breathes sneakers. 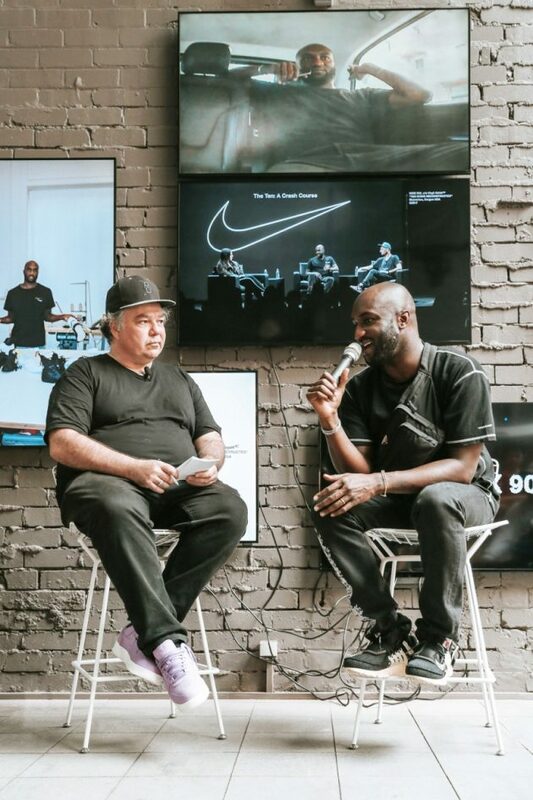 The Australian editor and founder of Sneaker Freaker, a magazine dedicated to the ubiquitous shoes, he has been praised for his intimate knowledge and understanding of sneakers as much as for the unbiased, non-brand point of view his magazine has adopted. Sneaker Freaker is an Australian independent magazine dedicated to coverage of topics relating to sneakers. The magazine was launched in 2002 and it is sold in over 50 countries. 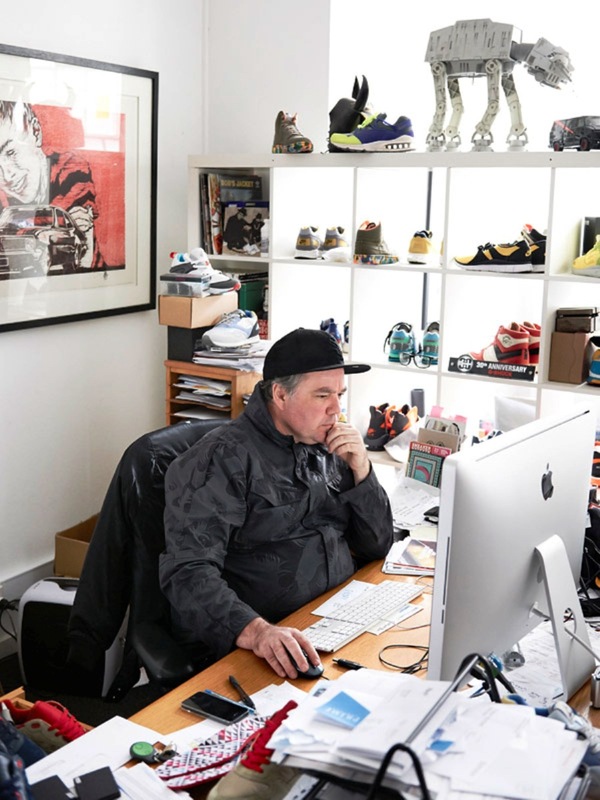 Sneaker Freaker was originally conceived as a means for its founder and editor, Simon Wood, to get free shoes. The magazine is a tri-annual magazine, with Russian, Spanish and German language versions of the magazine also produced. Sneaker Freaker is also used as a term for a sneaker enthusiast, the target audience of the magazine. The Kickz Stand is an Australian established “Lifestyle” community group, created by Jay Mijares and Dale Hasegawa on the 6th of March 2013. The Kickz Stand embraces all different aspects of culture to sneakers, street wear, music, art, cars, collectable toys, sport, food, video games and so on so forth. Our community has now evolved and its not just sneakers, street wear or the urban culture but its now the way of life. Also we are proud to say that The Kickz Stand is the first Australian community group that has collaborated with both local and international brands such as KIKSTYO Japan, Andres Denim, Saints & Guardians and The Exqused. There is more to come with regards to collaboration, so stay tuned. 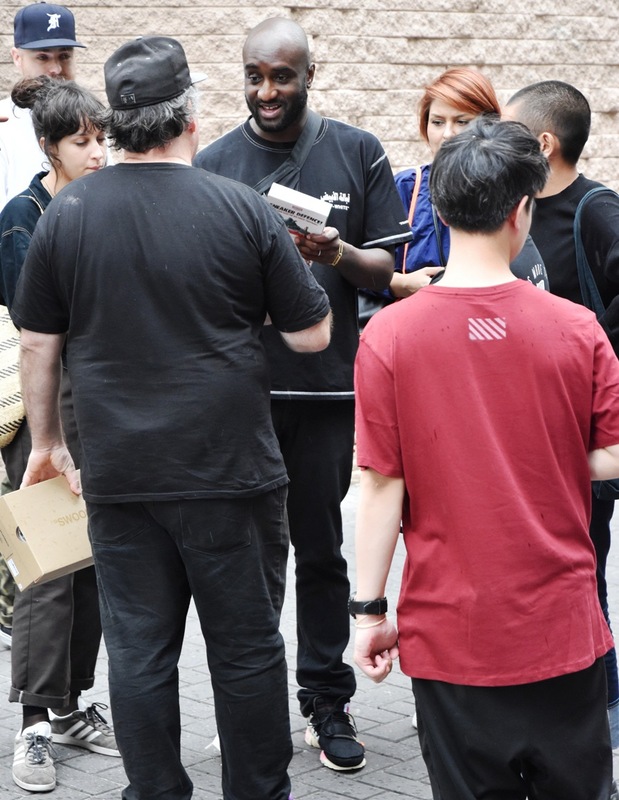 On a quiet Darlinghurst street last week, hundreds of young, mostly male Sneakerheads ( many still in their school uniforms having ducked away early from school ) patiently lined up for some 4-6 hours ( even as some light rain fell ) to meet their idol, Virgil Abloh, the introverted Chicago native. 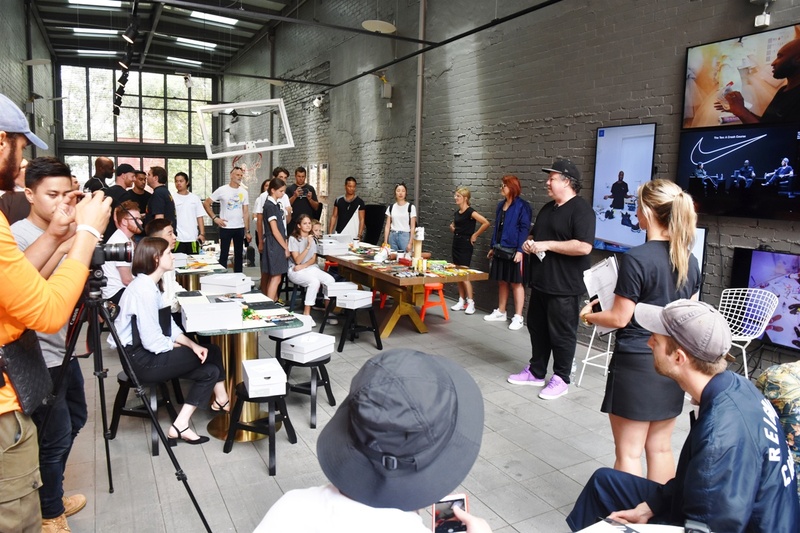 Some of them had even journeyed to Sydney from inter-state to the official Supply ” Pop Up” Store installation space – thus inadvertently becoming the personification of Nike’s most fundamental principle: ‘Just Do It’. 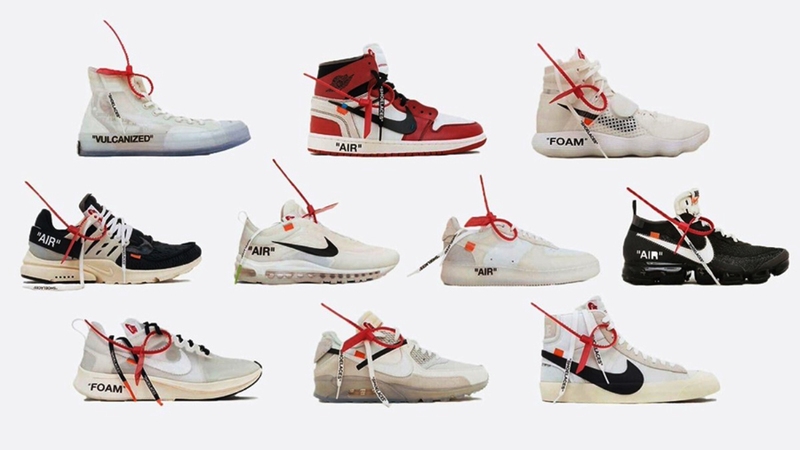 The Ten represents Virgil Abloh’s examination of Nike’s past, present and future through the lens of sport and culture. 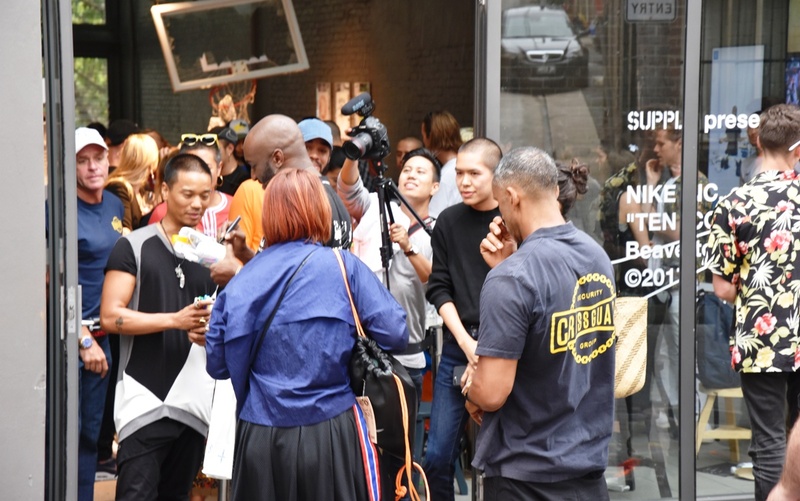 The announcement was dropped seemingly out of the blue, with very little promotion for the event online—but drew a large crowd who were aware of Off-White’s cult status and Abloh’s reputation for high energy sets. An exhibition that tells the story of the Nakashima Straight Chair: first as a hand-made piece crafted exclusively at Nakashima’s workshop; next as part of the Knoll product line in the 1940s and 50s; and finally, as a modern production piece reintroduced to the Knoll catalogue in 2008.